Burundi President has warned against anyone who will try to make propaganda against the draft Constitution. According to the ruling party, the time has not yet come to campaign for or against the referendum scheduled for May 2018. The opposition speaks of political cheating. “We take this opportunity to warn those who would attempt to obstruct this activity in deeds or words. May they know that this is a red line that should not be crossed, “said President Pierre Nkurunziza, on December 12 in Bugendana commune of Gitega province at the launch of the referendum campaign. He then called on the authorities from bottom to the top to be vigilant and get ready to bring those people before justice. Three days later, Térence Ntahiraja, Assistant to the Minister of the Interior, said: “At the level of the government, we ask everyone to vote” Yes “.” Woe betide anyone who will be caught doing the counterpropaganda of the government project. “It’s not an election campaign, it’s a referendum. Even political parties are called on to ask their members to vote “Yes”. But the day to vote is the choice of everyone. 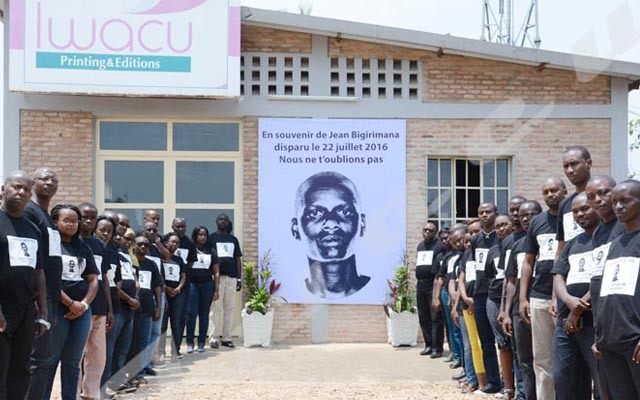 “In the process, there are reports of the arrest of five pro-Agathon Rwasa activists in Gisuru commune of Ruyigi province. They are accused of holding a clandestine meeting to sensitize the population to vote “No” to the constitutional referendum. According to him, the Constitution must be amended in order to be adjusted to the current time. As a result, he refutes the accusations of a hidden agenda. “People think that it is a hidden agenda for CNDD-FDD party to stay in power.” According to him, it is the people who decide on the future of CNDD-FDD. If the party has ideas, principles and programs that benefit the Burundian people, he continues, probably the citizens will keep it in power. He wondered: “Maybe you talk about staying in power in the context of individuals?” Evariste Ndayishimiye finds this subjective. According to him, there are presidents in the world whose terms are not limited. He gave the example of Germany. “It does not cause problems because it’s the people who decided. They saw that they must let someone capable of developing the society. “For the Secretary-General of the ruling party, the essential thing is to put in place a Constitution capable of ensuring the stability of the country, security and the well-being of citizens. “This is how the government understood it by organizing this campaign.” He assures that he will urge the militants of his political party to vote yes because he finds the revision of the Constitution logical. “How can you imagine that there is someone who can campaign to say ” No ”? It’s making fun of people. “The spokesperson for the opposition platform in exile-CNARED wondered how to fight the campaign while political opponents are either in exile or in prison for their opinions. The president of FRODEBU Nyakuri says that during the meetings held in Gitega and at Hotel Source du Nil, political parties had asked for the amendment to the Constitution, what was the same with the inter-Burundian dialogue initiated by the National Commission for the Inter-Burundian Dialogue (CNDI). For Kefa Nibizi, campaigning for or against the referendum is an absolute right for every Burundian. He also reveals that his party will participate in the new dismemberment of the National Independent Electoral Commission-CENI. Mr Nibizi demands that all authorized political parties be allowed to hold a campaign for or against the referendum. However, he refrains from commenting on the choice of his party. “It is still too early. Let’s wait for the end of the government campaign,” he said. Mr. Njangwa finds that there are some provisions in the new draft that scare political parties that have few members. He gives the example of the suppression of independent coalitions. “This provision will help in the stabilization of parties.” This civil society activist denies that there are opposition activists who are mistreated on the ground. “Imboneza yamaho”, which is the true meaning?